As of January 1, 2019, in all counties, anyone convicted of a DUI will be required to install an IID. Although “the IID pilot program was not associated with a reduction in the number of first-time and repeat DUI convictions in the pilot counties”, the State has enacted SB-1046 and depending on the conviction may mean a DUI conviction just got more expensive. Therefore, you need to discuss the IID requirement with a qualified drunk driving lawyer that has had extensive training on the new IID laws and how they will apply to your case in Fresno. An ignition interlock device (IID) is a device that is installed in your vehicle’s steering column. 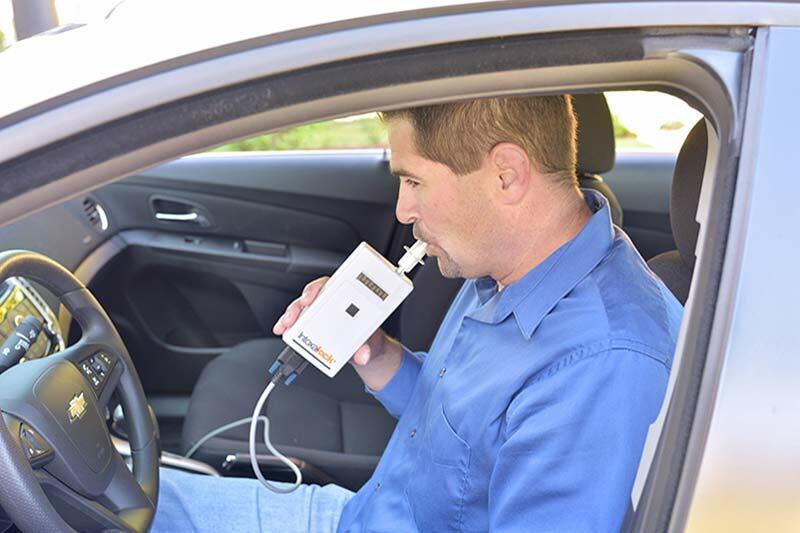 The IID is a handheld breathalyzer unit that has a mouthpiece, a relay cord that connects to the vehicle, and may contain a camera unit. There are numerous different devices and vary in shapes and sizes. The primary purpose of the device is to ensure that you are not operating your vehicle with any measurable amount of alcohol. You are required to blow into the device when you start your vehicle. If you do not have any alcohol in your system, the car will start normally. If you have a .01% BAC or above in your system, the car will enter a short “lockout” period and the vehicle will not start. The device may also require you to blow while you’re driving. The two reasons for this requirement are to ensure that someone other than yourself did not blow in the machine in order for the car to start, or that you are consuming alcohol while driving. When you are required to blow in the machine while driving, the device will chime. You will have a certain amount of time to blow into the machine, or if necessary, pull your car over to give a breath sample. If you don’t have alcohol in your system, the car will continue to operate as normal. If alcohol is detected, the device will register a fail to the IID company. In some cases, if the device detects alcohol, the horn will start honking and the lights will start flashing until the vehicle is turned off. If you fail to provide a breath sample, the device will report that as well. If there is any tampering with the device, which could include removing, bypassing, or tampering, or if the device registers a fail three or more times, the court and DMV will be notified. The Court will likely issue a warrant, violate your probation, and the District Attorney can also charge you with a separate crime. DMV will immediately reinstate the suspension of your driving privileges. How Much Does the IID Cost? There are three fees for the ignition interlock device: the installation fee, the monthly fee, and the maintenance and calibration. 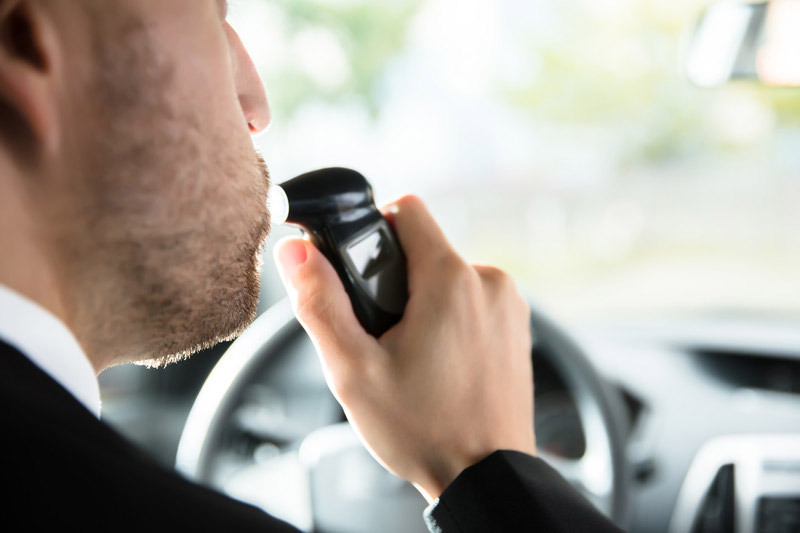 The cost to install the breathalyzer device, which is typically between $75-$150, but you may be able to obtain a free install through your attorney. The monthly fee is approximately $75 per month. The maintenance and calibration fees vary, but it is required to be done about every 60 days. However, there are new laws that may help lower income DUI offenders. Depending on your income, you may qualify to only pay 10%, 25%, or 50%. The fee is based on federal guidelines, and if you qualify, the IID will pay the balance of the fee. Unfortunately, there are companies that will not tell you about the ability to get a reduction in the IID fees, so you must be diligent and only contact reputable companies. An experienced DUI lawyer can provide you with companies that will make sure that you obtain the help you need. Do I Need To Install An IID? Full driving privileges, the IID is required for six months. One year restricted license that allows you to drive to and from work, in the course and scope of employment, to and from a medical emergency, or to a DUI program, as long as the driver is participating in a treatment program. A first DUI offense with an injury, the IID is required for six months. A second DUI offense, the IID is required for one year. A third DUI offense, the IID is required for two years. A fourth or subsequent DUI offense, the IID is required for three years. Further, the court may order the IID for a longer period of time, up to 3 years, including higher alcohol levels, with two or more prior moving traffic violations, or to those that refuse a chemical test. Good News About the IID. There are many problems with the IID, but it will permit you to retain or regain your driver's license, which will allow you to maintain employment, schooling, familial responsibilities, as well as court-ordered programs that require driving. If you install an IID on your vehicle, it may be possible to keep your license without DMV forcing its mandatory suspension on you after a DUI arrest. However, to be able to comply with this requirement, you will have to act quickly. It should be noted that just because you were arrested for a DUI does not necessarily mean that you will have to install an IID on your vehicle. You should consult an experienced and dedicated drunk driving lawyer immediately to see what can be done to avoid the IID. In addition, you are entitled to a DMV hearing, but you must request one within 10 days of the arrest. By contacting our office, we will request a hearing for you free of charge. You are not obligated in any way, but we want you to have the best chance of avoiding the consequences of a DUI arrest. If you are unable to contact us in time, please request the hearing yourself by faxing the Request for DMV Hearing to the appropriate DMV Driver's Safety Office. Remember that if you succeed at DMV, it may be possible to avoid the IID altogether, which could save you hundreds of dollars. If you fail to request a DMV hearing, it may still be possible to retain your license, but you must obtain an IID before your temporary license expires so you do not have to face a suspension. However, this option should be used after all other options have been exhausted. It also appears that there is an early incentive to installing the IID early. Credit will be given to someone that placed the IID on their vehicle, even before a DUI conviction. This can keep you from losing your driver’s license without any suspension period. Let Us Help You with the IID. At the Law Offices of Tina M. Barberi, PC, we are experienced in handling drunk driving cases and we stay current on the laws when it comes to DMV and the courts. We want you to keep your license and not have to worry about this DUI charge causing you problems in the future. Although the new IID law is not ideal, there are a number of ways that you may be able to avoid installing the device, which will save you hundreds of dollars. If you already have a suspended license, contact us and we will get you started on the right path to clear the suspended license and help you avoid the new IID requirement. We will discuss all your options with you so you can make a meaningful decision.